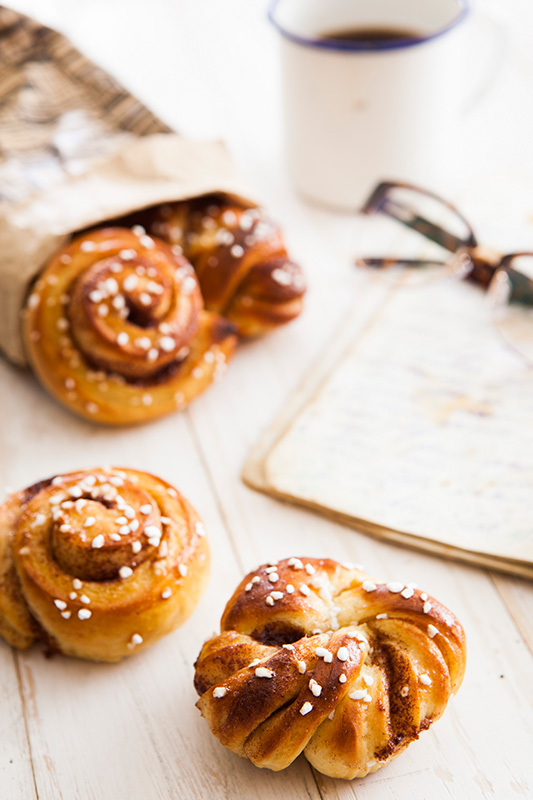 Kanelbullar should be on the Swedish Flag, they are everywhere! When you arrive at the airport you can even smell them. 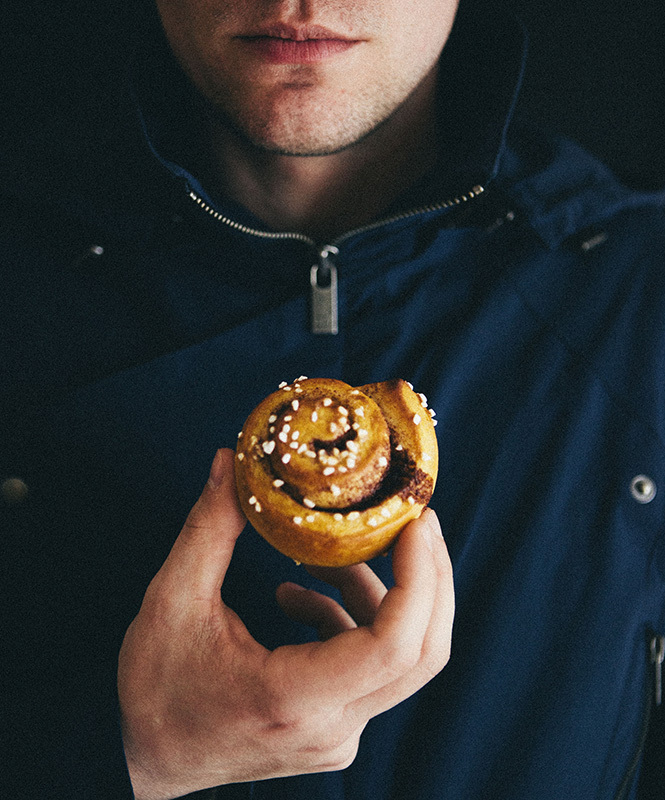 When I first moved over to Sweden, my friend Martin gave me 20SEK to buy my first cinnamon bun when I arrived. It worked. I was hooked. They really are not a difficult thing to make, but some may have difficulty with using yeast if they haven’t used it before… but don’t let that stop you. If you are having trouble shaping the cinnamon buns, there are loads of videos online of different ways, I found this one quite useful. 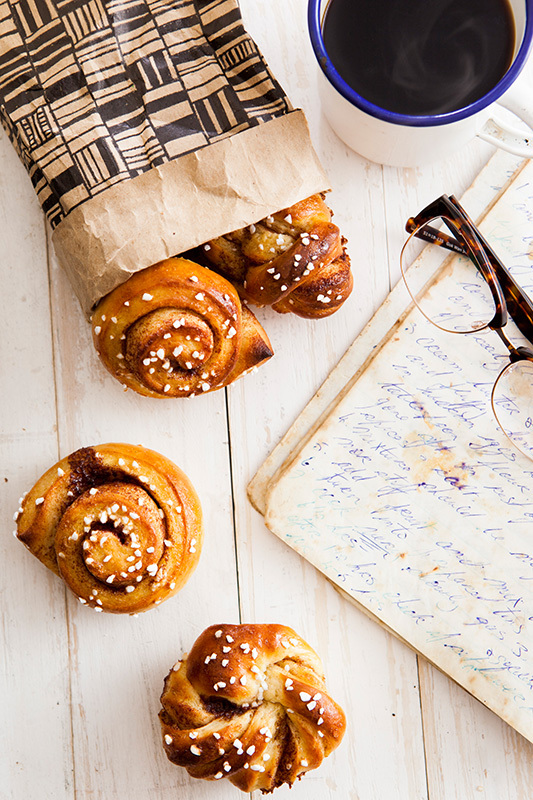 Kanelbullar are the ultimate Fika treat. Cup of coffee and a cinnamon bun. Sorted. If you do give them a try, I would really love to hear about it, leave me a comment below. Begin by grinding the cardamom with a pestle and mortar until you have fine dust, leave this to the side. In a stand mixer begin to mix the butter, sugar, and salt until smooth in a large bowl. Then start to heat milk in a saucepan until tepid, remove from heat and add sprinkled yeast and stir it until dissolved. Add cardamom to the milk (remember to leave some for the filling) and then pour into the butter mixture. Using a dough hook, or your own hands, gradually add flour, then work it until dough peels away from the bowl and feels smooth and elastic. Cover and put in a warm place and let rise to double size for about 45mins. Meanwhile, mix the all the ingredients for the filling until you have a paste and set aside. Cut out long strips of dough (about 2 cm wide) which you then cut in half lengthwise, leaving the top part uncut (imagine holding up a pair of trousers in front of you, that’s what it should look like) Twist together into a knot and put on parchment paper. Repeat process with the remaining dough and filling. Place all of the buns in bun cases (if possible, less mess) and cover with a cloth and leave to rise for 30 minutes. Heat oven to 250°C (480F). Brush with a beaten egg and if accessible to you, sprinkle with some pearl sugar. If you can’t get hold of any, you could use some almonds or coarse sugar. Bake for about 8-11 minutes, depending on the size of the buns. Try and keep your eye on them, because they can quickly turn from golden brown to charcoal! I use a donal skehan recipe, Soooo good. I like the way you did the knotted ones. Can you provide me with more specifics on how to get this shape. I’m trying to picture it but am having a difficult time doing so. Many thanks! Never mind, I should have read the above post more thoroughly. Pretty cool demo video! Isn’t it the best? That smell! !